The team at Leighton Hall in Carnforth, has cause for 24 carat celebrations this month as they prepare to mark their diamond anniversary. On 1st May as they open their doors for the summer season, it will be 60 years since they first began welcoming visitors into their family home. And what a successful idea it was. For over half century visitors have enjoyed lively house tours, beautiful gardens and parkland, breath-taking bird of prey displays and delicious afternoon teas. During this diamond year, the hall will be open on Tuesday to Fridays, from 2pm. The guides are entertaining and child friendly and as there are no roped off areas, visitors are invited to sit on the sofa, climb the stairs, take their place at the priceless dining table and really get involved. Outside, animal lovers can get up close and personal with Leighton’s birds of prey which are flown each day weather permitting. Later there’s time for a stroll in Suzie’s enviable gardens or to take a woodland walk, while children can let off steam in the caterpillar maze, follow the tree face trail or tackle the teddy bear treasure hunt. The tea rooms serve light refreshments and delicious home made cakes and of course plenty of tea – served how you’d expect in “real” cups and saucers. There will be a host of different events to enjoy in the forthcoming months including the popular Shakespeare in the Garden and the Classic Car Rally. Check www.leightonhall.co.uk for details. Leighton Hall has always prided itself on being a family concern. Surrounded by a loyal team, (some who’ve been there for over 30 years), Suzie is still very much an integral part of the hospitality at the hall. Husband Richard is still involved, daughter Lucy is now Estate Manager and grandson, Sebastian will one day take over the reins. 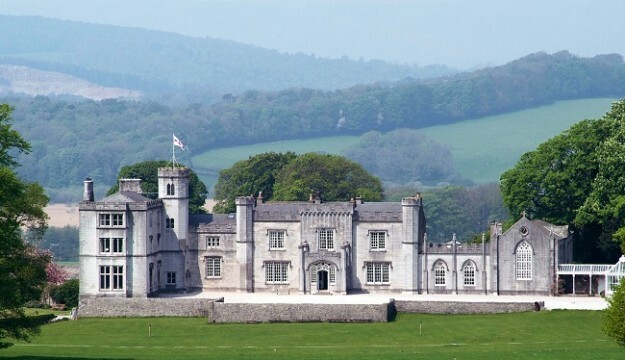 Leighton Hall is in Carnforth, just 10 minutes drive from Junction 35 of the M6. Open weekday afternoons (Tues – Fri 2pm – 5pm), May – September. Admission Adults: £9.00, Concessions: £7.95, Children age 5 – 12: £5.50. Pre booked groups are welcome all year round.